Students, get your late night food fix and start saving! 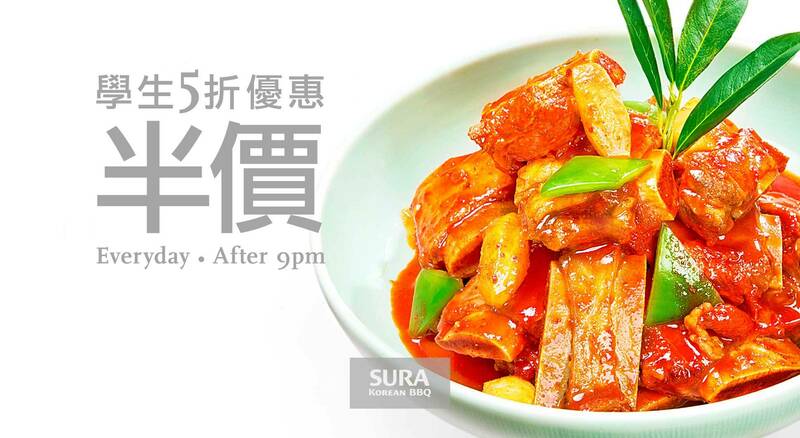 SURA Korean BBQ Richmond is offering students an awesome discount: students can enjoy 50% off discount on all food menu items, everyday after 9pm! Just bring your student ID! SURA Korean BBQ Richmond is now taking reservations, so call (604) 370-5540 for your reservation today! Here at SURA Korean BBQ Restaurant Richmond, we are committed to using only the freshest & the finest ingredients available. Because along with outstanding customer service, we believe it is our most sincere appreciation of our customers. We thank you for your kind support and please check back here regularly for our latest promotions and exciting new special offers!